Former England skipper Alastair Cook has had played his last international innings for England and in order to make it memorable he notched up his 33rd Test century. He surpassed the 100-run mark on Day 4 of the fifth and final Test between India and England on Monday to put the hosts in complete control of the match. 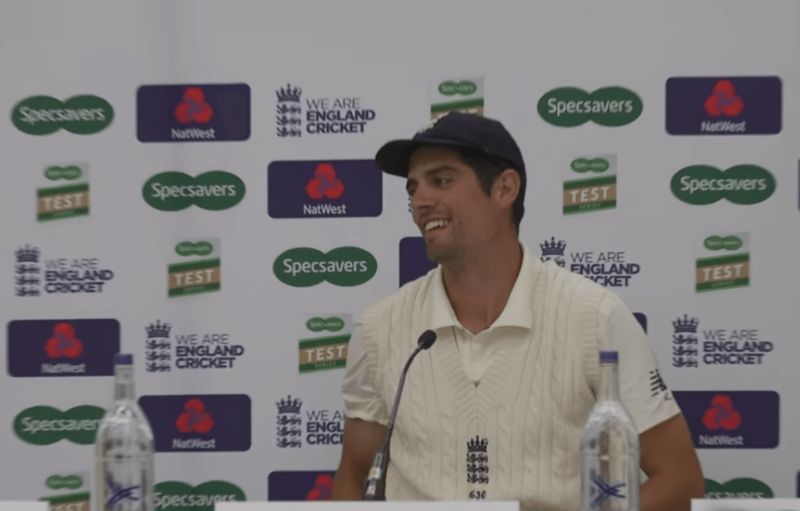 There is no denying the fact that emotions were high in the England dressing room and the stands at The Oval, London as Cook played his final knock. That mood seemed to spill over to the press conference room as well when the southpaw addressed the media, possibly for the last time in the England whites. To commemorate each of his 33 Test centuries, Cook was gifted 33 bottles of beer with personalized messages by the British media.